Don’t forget… an “official” Facebook Photo Album will be posted TOMORROW at Noon CST. Follow on my Fire When Ready Pottery page to see the photos. Be the first to Comment with “Mine. Mine. Mine.” to claim the mug of your dreams. 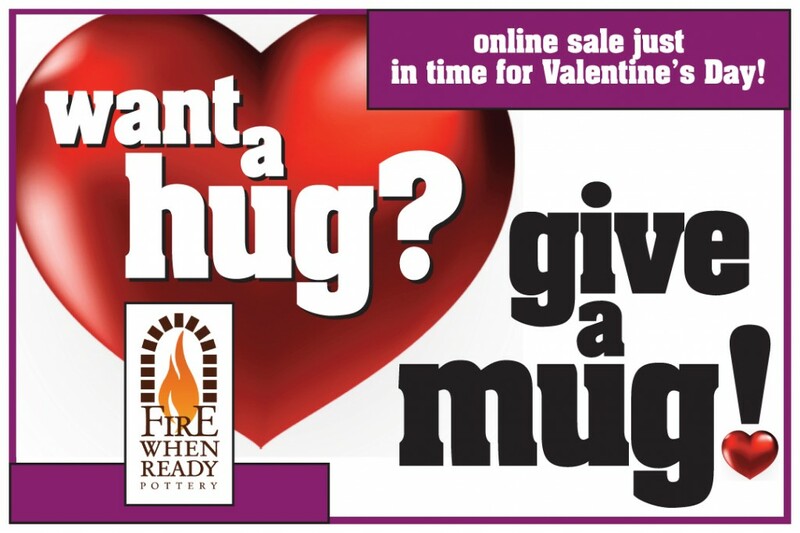 The perfect gift for that Special Someone… or treat yourself. Fewer calories than a box of chocolate!